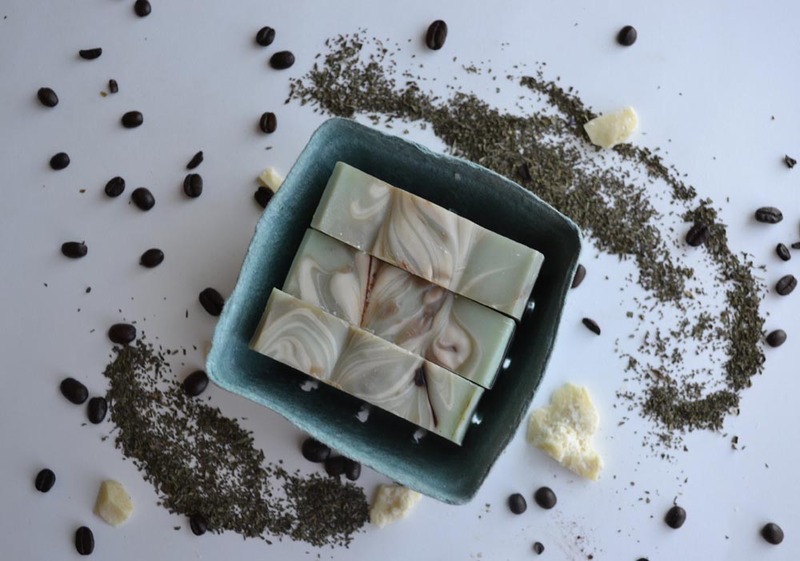 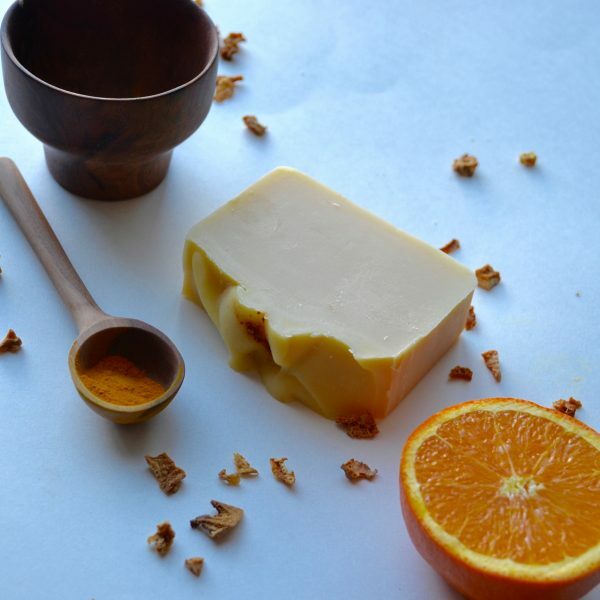 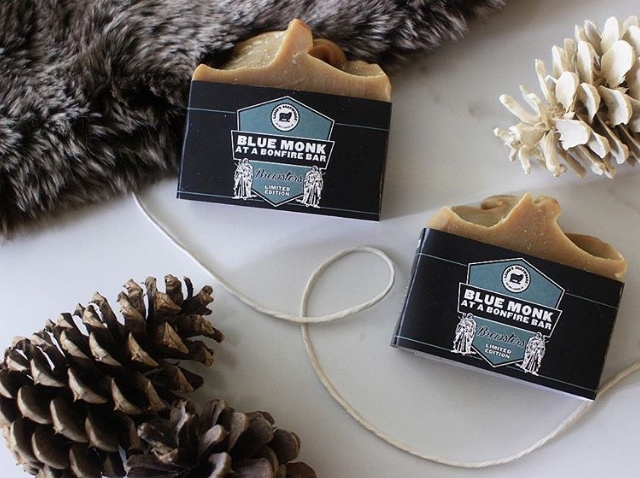 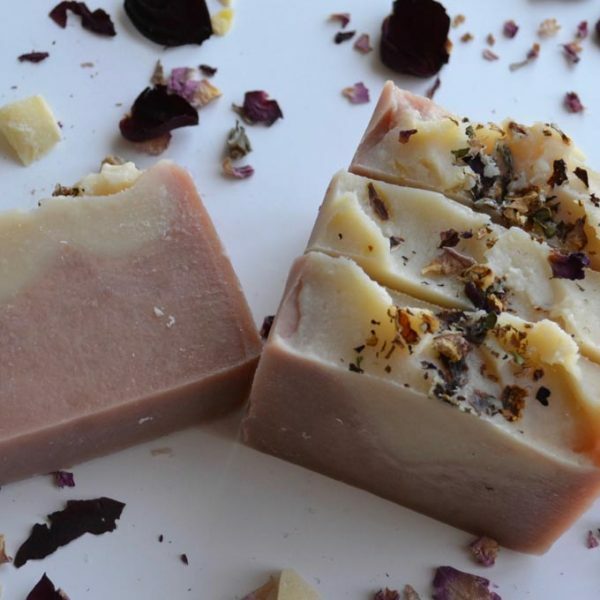 This luxurious vegan bar is a mix of olive, coconut, sustainable palm, rich cocoa butter and castor oil. 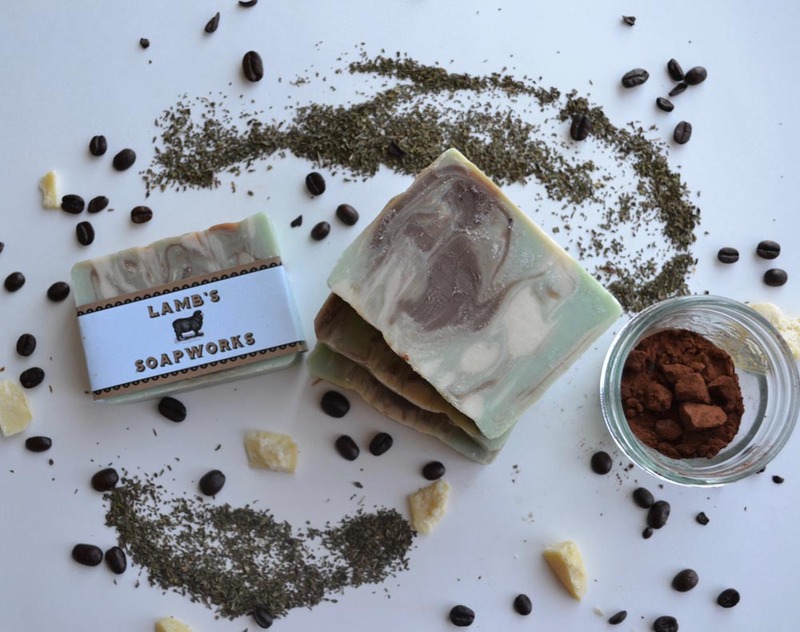 Peppermint essential oil combines with cocoa absolute, cocoa powder, and roasted coffee oil to make a feast for your senses. 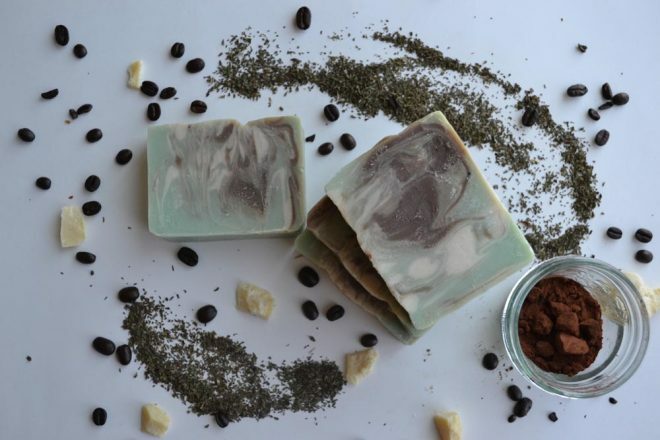 A chocolate mint lover’s dream. 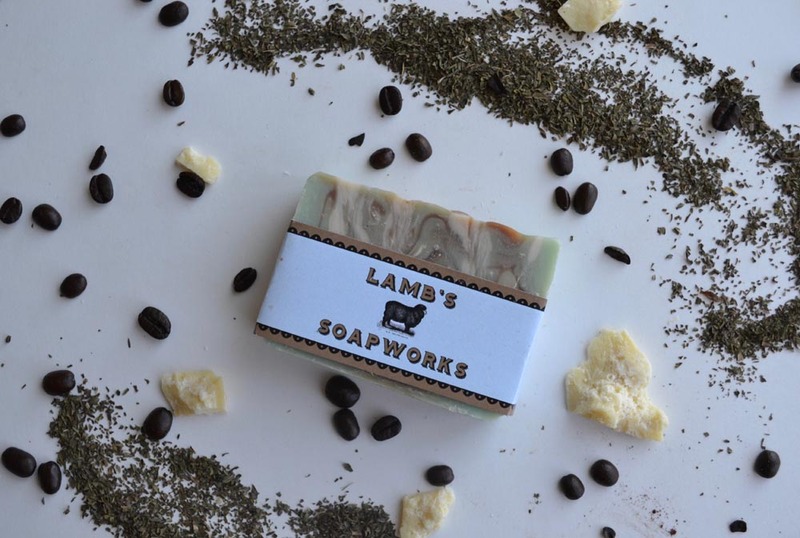 Scented with pure high quality essential oils of cocoa absolute and peppermint.